This tropical themed combo will be a hit at your next party! 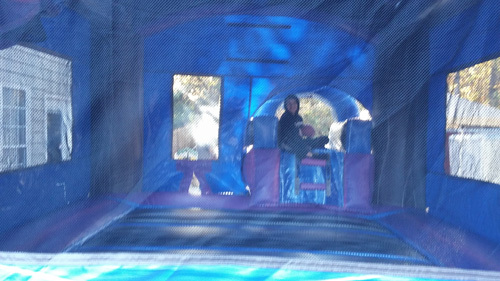 It features a jumping area, slide with safety stopper, and basketball hoop inside. 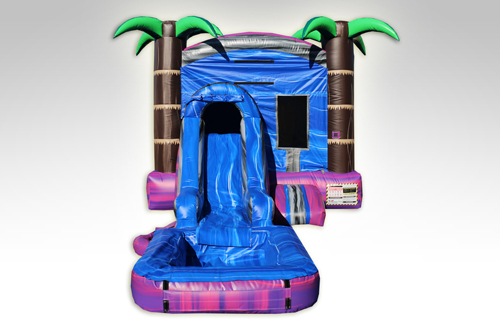 For even more fun, to make this a water combo we simply connect your water hose to an attachment above the slide, and add a splash pool at the bottom!